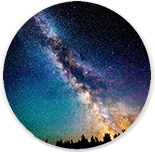 by Jan SpillerThe planet URANUS represents the urge for awakening – for the intense excitement and freedom of ever changing new levels of perception and experience. Wherever URANUS is found in your chart, you will experience the desire to be totally free and insist on being your own person, without restriction. You will not buckle under to social precepts or authoritarian ideals in the arena of your life ruled by URANUS because you follow a different drummer that keeps you excited about life. 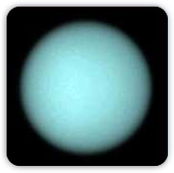 Key ideas for URANUS : awakening, innovations, sudden change, the unexpected, enlightenment, desire for vitality, intuitive, inventions, scientific approaches, astrology, electricity, advancement, progress, futuristic, eccentric, unusual, stimulation, uniqueness, freedom, impersonal perceptions, genius, revolutionary ideas, unpredictability and excitement. The challenge of URANUS : to be comfortable being “different”, and to be more open to awareness and objective perceptions in the area of your life ruled by Uranus. The challenge is to seek experiences of vitality and excitement in ways that have a constructive purpose and are not erratic, shocking or disruptive. The goal of URANUS : enlightenment. The opening of your mind to the realization that the movie we call life is impersonal. Use to increase URANUS’ power in your life: the stones Tanzanite, Lapis, Azurite, Topaz and Zincite. 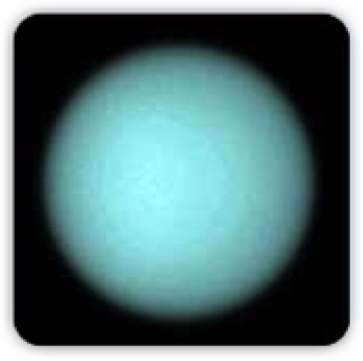 The planet URANUS represents the urge for awakening – for the intense excitement and freedom of ever changing new levels of perception and experience.